Another Timberdoodle Review! 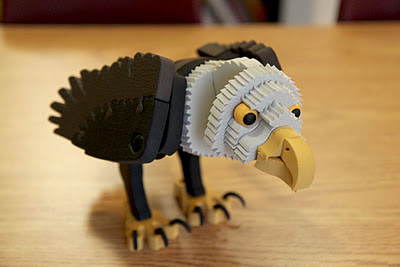 The older boys reviewed the Bloco - Birds of Prey Construction Set for Timberdoodle recently. We have a good age range, so that really helps us see if the age recommendation on items like this are accurate in our opinion. First, I'll talk about the item and packaging itself. The construction set is made up of a fairly sturdy high density foam. The parts that you use to hold the foam together are plastic. When you open the box you find several cut out sheets of the different shaped parts that you just need to pop out of the sheets, a bag with the plastic connectors and the instructions for building the birds of course. It took my older 3 boys roughly 15 minutes to to pop all of the pieces out of the sheets. The instructions picture each step, so it is easy to understand and does not require your child to be able to read. My 5 and 6 year old boys just needed a little assistance with getting the joints in really well so that the model was sturdy, but otherwise could do it themselves. My 9 year old had no issues at all. Depending on the model, this could be a good 20 - 30 minute project (maybe even longer for some) between finding the right pieces and constructing it. Long enough to make them think and use their motor skills, but not so long that they become bored. My 3 year old did also build his own little model he thought up on his own :). I would say that the age recommendation is pretty accurate. Younger children with good motor skills can enjoy this as well. My only gripe about these particular models is that they don't stay standing up well. My boys built the Eagle together first and they wanted to keep it on their shelf in the school room to show daddy when he visited on the weekend (He's away doing Navy junk and has been visiting on the weekends until he's done). I can't tell you how many time that thing has fallen over! Otherwise, it's a pretty neat set and my boys, who love to build, have been enjoying it. It's a great filler that wont turn their brains to mush. If your child doesn't care to build things, this probably isn't for them. 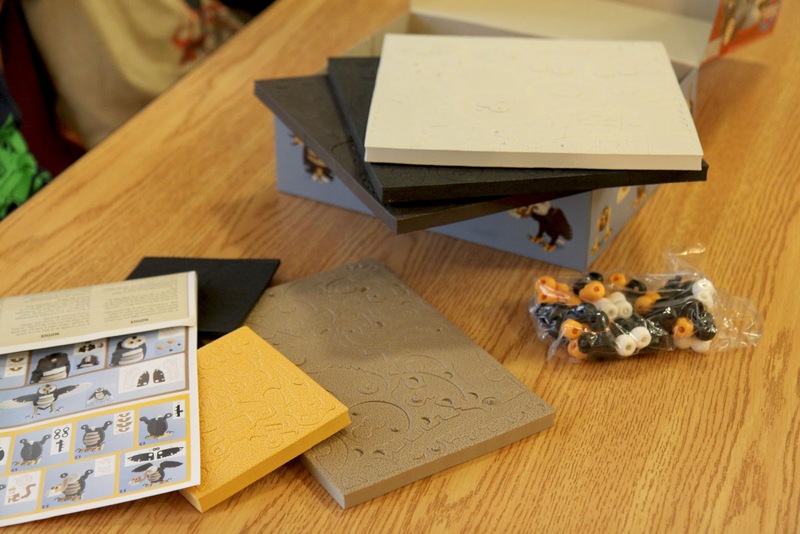 Timberdoodle has several different Bloco Construction Sets to choose from. They would make great stocking stuffers for the animal lover or builder in your life! If you're interested in seeing the large selection of educational toys, games and curriculum they offer, head on over and fan them on Facebook, check out their site and/or request their Catalog. We love them here! 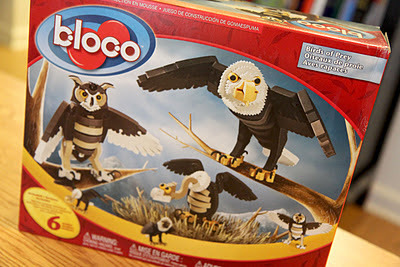 As a member of Timberdoodle's Blogger Review Team, I received Bloco Construction Set, Birds of Prey for free, in exchange for a frank and unbiased review. A little catching up with some photos!